Posted on November 14, 2009 March 22, 2010 by Pavel Y. This interesting modern cocktail was found on the Dale`s DeGroff site. 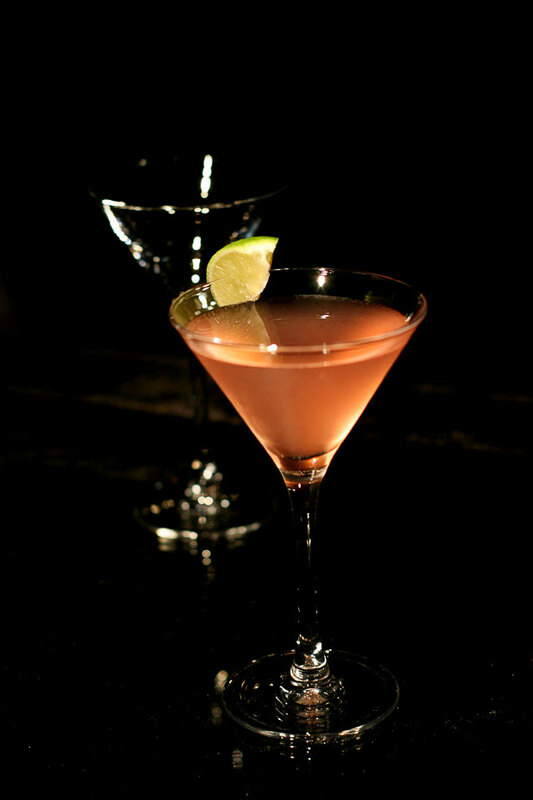 The Metropolitan cocktail is so close to the Cosmopolitan, but use black currant vodka instead citron vodka. Dale DeGroff inform that author of this version of the Metropolitan Сocktail is Mike Hewett at Marion`s Bar on the Bowery in the NYC. Site and two books – The Craft of the Cocktail by Dale DeGroff and The Essential Cocktail by Dale DeGroff has similar composition but different proportions. This proportion was found on the Dale`s DeGroff site. Shake with ice and pour into a chilled martini glass. Garnish with a lime wedge. The Metropolitan Cocktail is admirable cocktail with strong and dilicious currant taste with a hint of citrus. For more smooth, light and sweet cocktail you may to decrease the amount of vodka to 45 ml and inrease the amount of cranberry juice to 20 ml and lime syrup to 15 ml (as in The Essential Cocktail by Dale DeGroff specified).